Movie streaming coming to the Apple iCloud? Apple is looking to take on the likes of LoveFilm and Netflix by bringing movie streaming to iCloud. This is according to The Wall Street Journal, which has it on good authority that negotiations are currently on-going with a number of movie studios. If the deals go through, then it could mean that users will be able to stream movies from the iCloud to their iOS device, without needing to store the content on their device. Currently both Netflix and LoveFilm both offer apps for a similar service, so Apple will have a lot of competition if it does decide to get into this side of the movie business. The rumours also come just days after UltraViolet, a new digital locker initiative by some of the major movie companies, launched in the US. 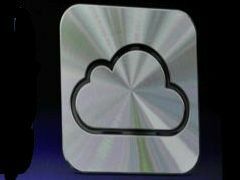 The Apple iCloud service so far allows cloud-based storage for music, photos and other documents. Apple's iCloud UK pricing is tier-based – the basic package is free and gets you 5GB of online storage. If you want 10GB then you have to pay £14 a year, 20GB is £28 a year while 50GB will be £70 per annum. Given that no sources are quoted in the Wall Street Journal article but Apple will definitely be looking into getting into the movie-streaming market, we are putting this rumour as a Quite Likely.